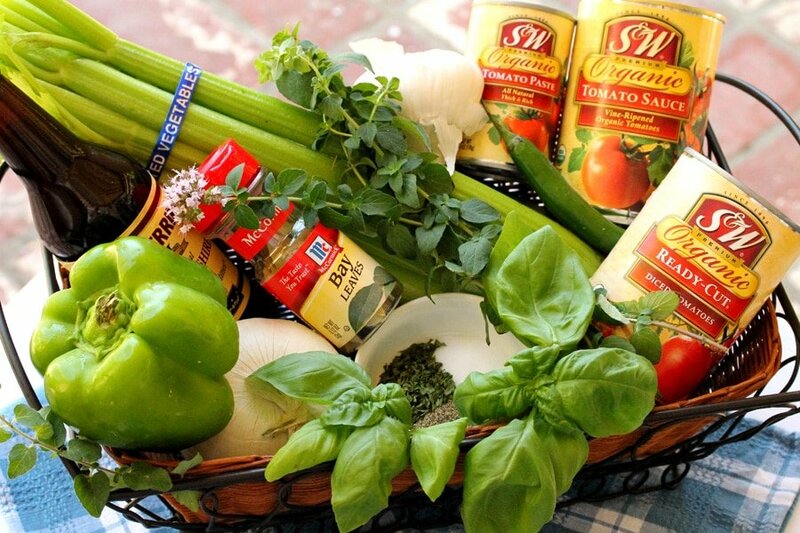 This spaghetti sauce recipe has been around a long time in my family. Each generation changes it just a bit. My grandmother made it with ribs, my mother made it with ground and shredded beef, and I make it with 3 different types of ground meat; pork, beef and turkey. I also add a bit of spice to my version by including a Serrano pepper. This is a great recipe to make for friends when they come over for dinner. I make the sauce in the morning so it’s simmering by noon, and when the guests arrive, the entire house smells absolutely delicious! You can also freeze this sauce in portion-size containers. 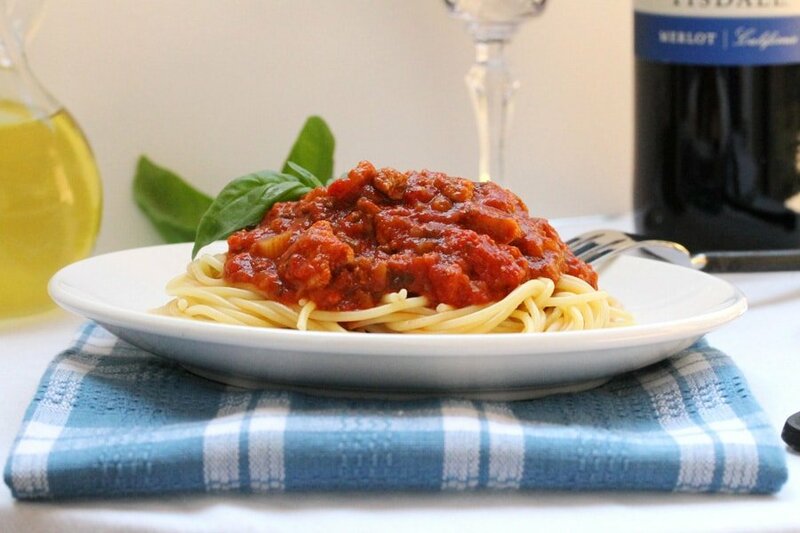 When you want a quick and easy meal, all you have to do is thaw the sauce, warm it, and serve it over your favorite pasta; a delicious meal right out of your “freezer” pantry! 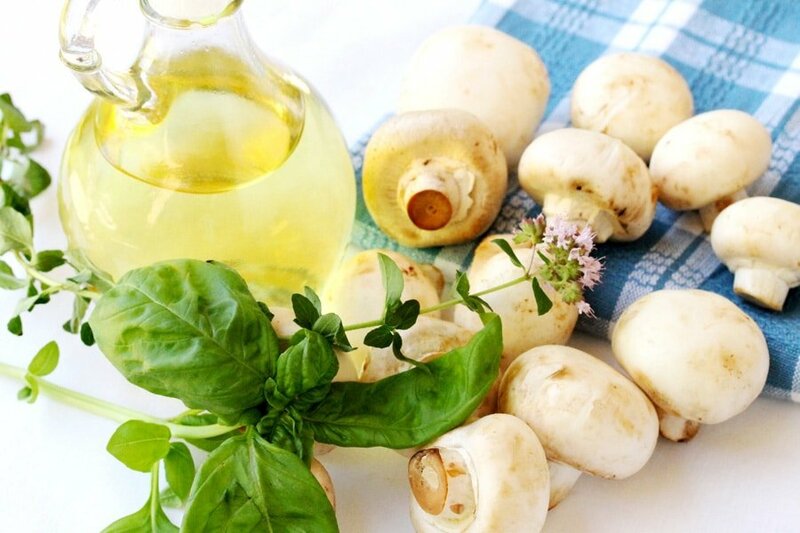 …also some Mushrooms and Olive Oil. 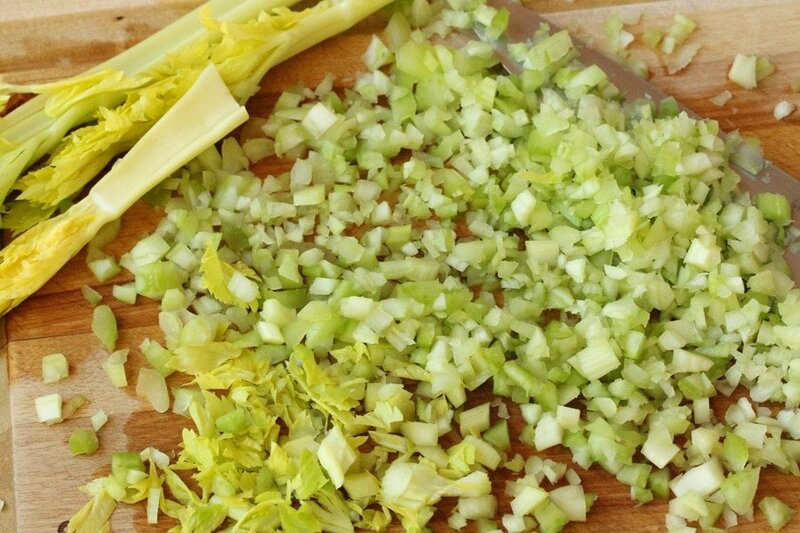 Chop all of the celery, including the leaves from the innermost section. Slice the mushrooms in fairly thin slices about 1/8 of an inch wide. 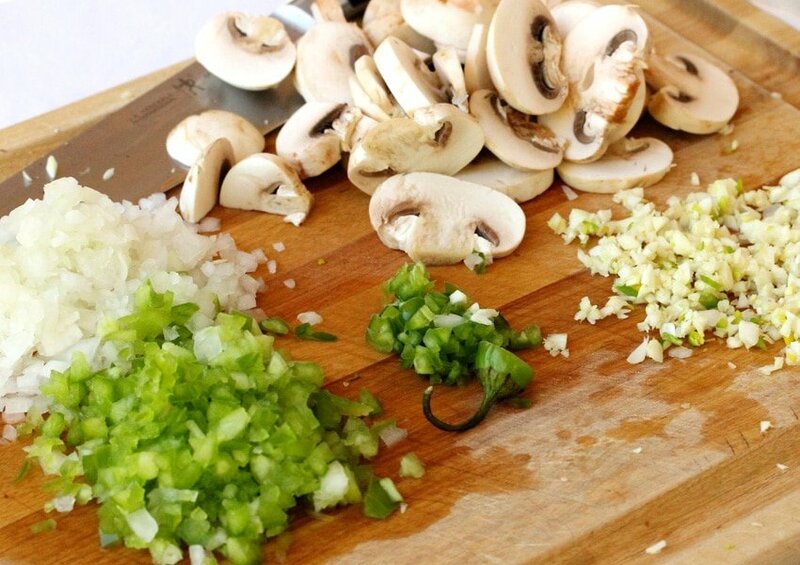 Chop the onion, bell pepper, Serrano pepper, and garlic in small pieces. 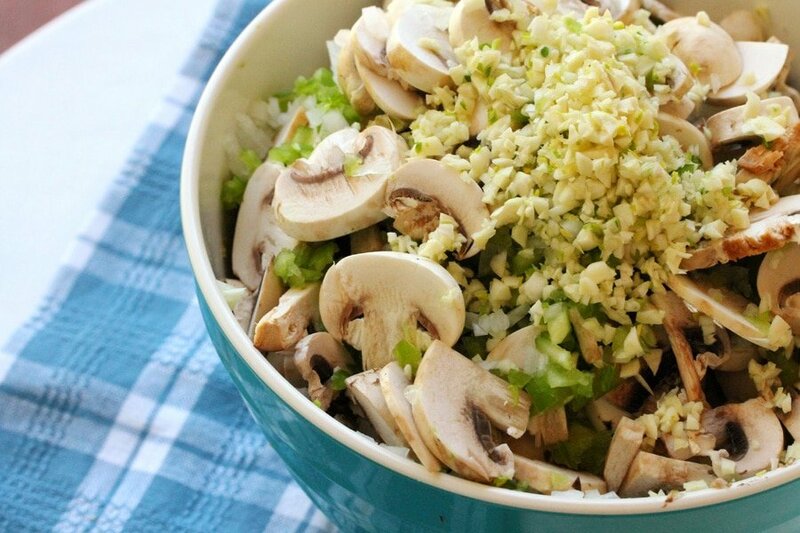 Put all of the chopped items in a bowl. Add the olive oil to a large pot. Heat the oil on medium heat. Add all of the chopped items to the pot and let cook for about 10 minutes. Stir about every 3 minutes. In the bowl that the chopped items were in, add the cut tomatoes and squish them up a bit with your hand. 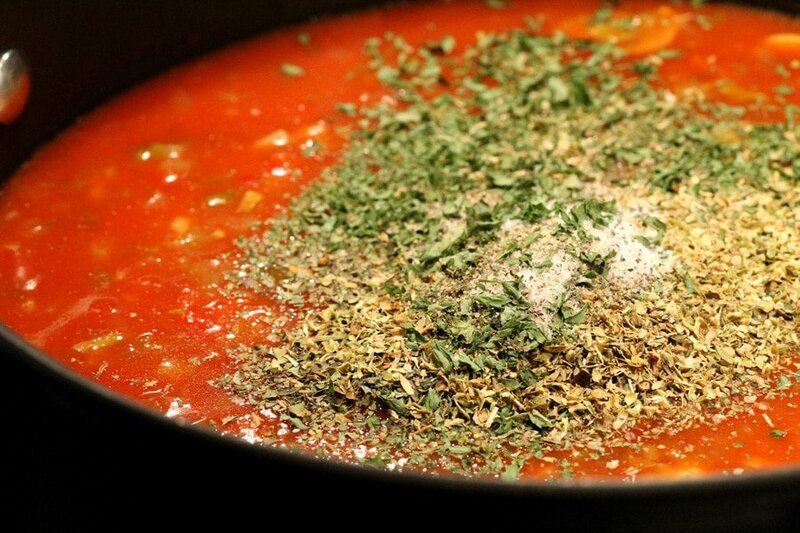 After the chopped items have cooked for about 10 minutes, add the cut tomatoes to the pot. 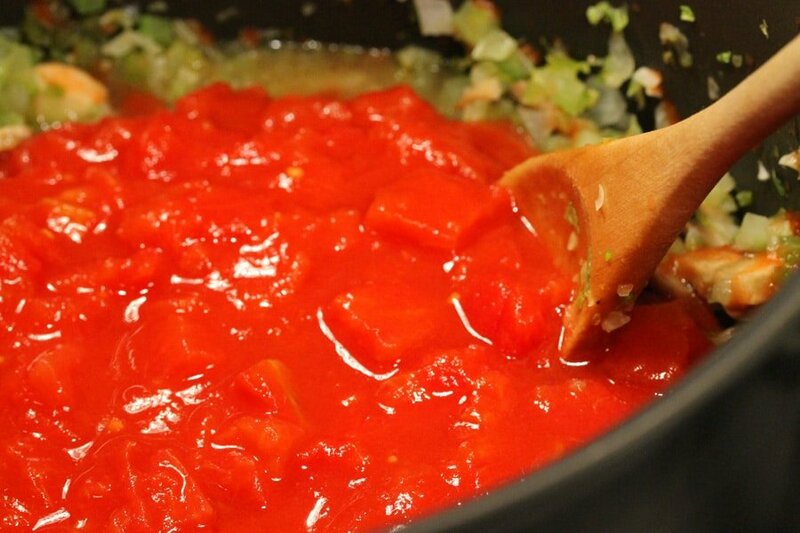 Add the tomato sauce, tomato paste, and water to the pot. Add the Worcestershire sauce, parsley, oregano, basil, salt, and pepper to the pot. 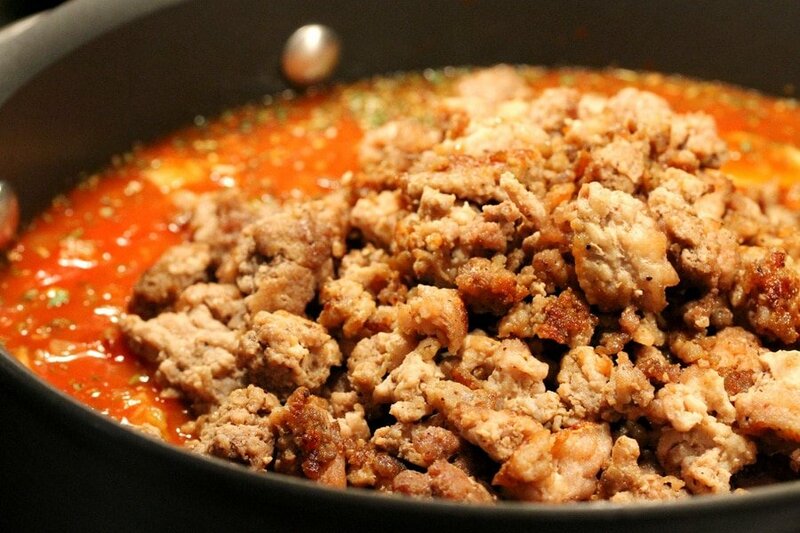 In a skillet, cook the ground meat on medium heat. Continue cooking until the meat is browned. Add the meat to the sauce and stir. Stir and let simmer for at least 3 hours. Continue to stir every 30 minutes or so. Here’s how the sauce looks after cooking for about 3 hours. 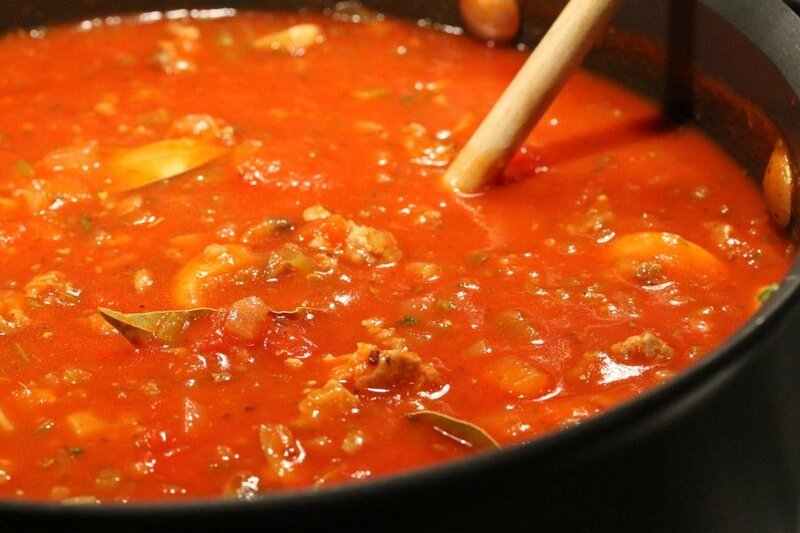 It will reduce, thicken, and the ingredients will blend together nicely. The house smells heavenly while this is cooking. 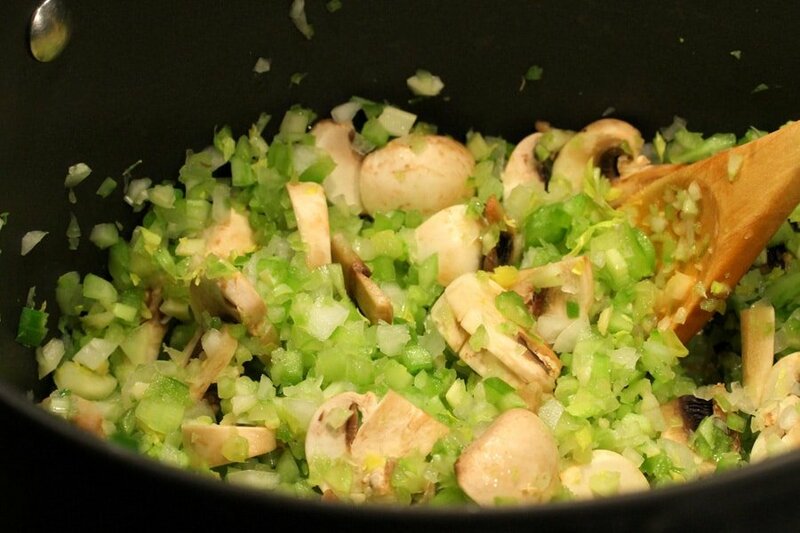 For the Vegetables - In a large bowl, add the bell pepper, onion, celery, mushrooms, garlic and serrano pepper. With a large sturdy spoon mix together. 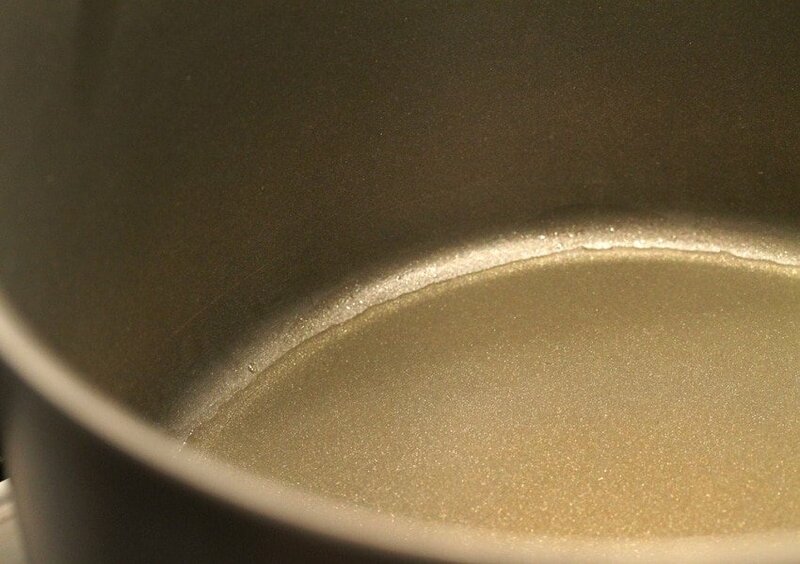 To a large sauce pan, add olive oil and heat the pan on medium heat. To the pan, add the chopped vegetables. 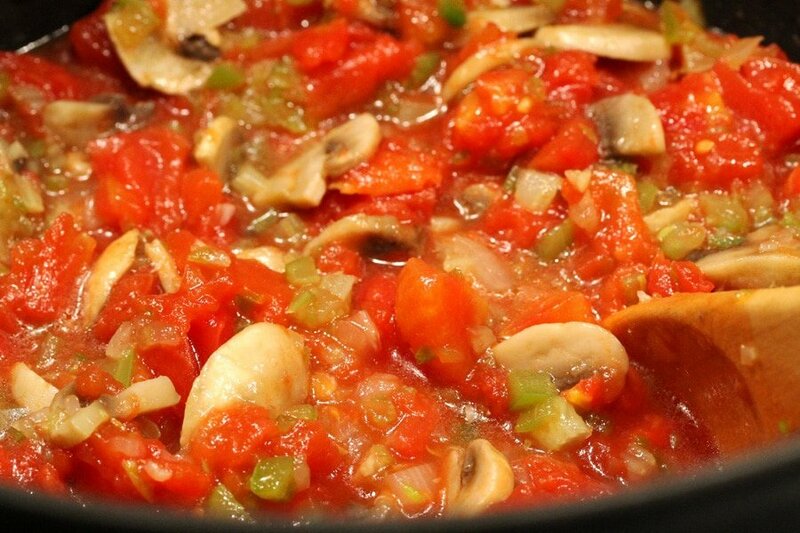 Let the vegetables cook for about 10 minutes while stirring about every 3 minutes. In the bowl that the chopped items were in, add the cut tomatoes and mash them up a bit with your hand. 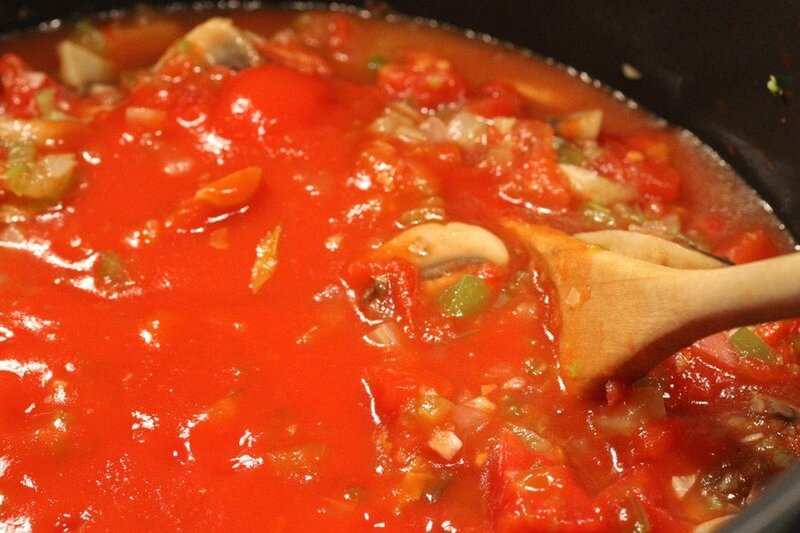 For the Tomatoes and Tomato Sauce - After the chopped items have cooked for about 10 minutes, add the cut tomatoes to the pot. Stir together. To the pot, add tomato sauce and tomato paste. 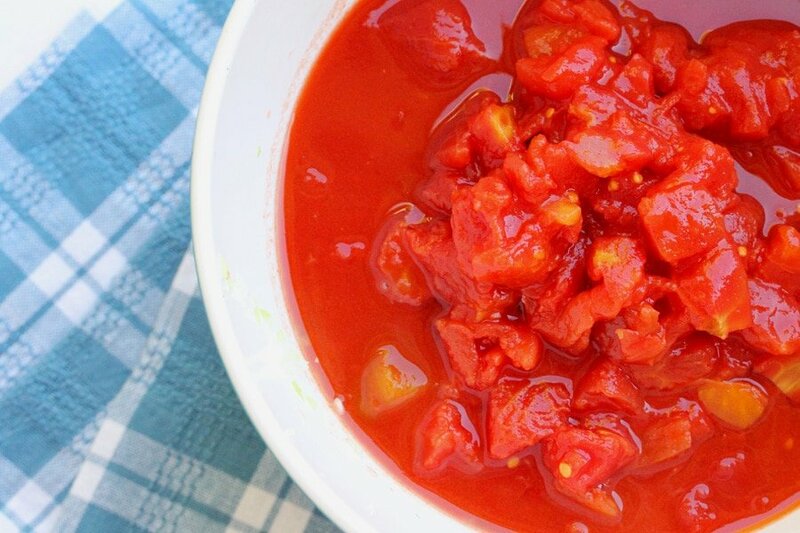 To the empty cans of tomato sauce, add the water and stir (to get any excess tomato sauce that is still in the cans); add this water to the sauce. For the Seasonings - To the pot, add the Worcestershire sauce, parsley, oregano, basil, salt, and pepper. Stir together. Turn the heat down to low and continue to stir occasionally while the meat is cooking. 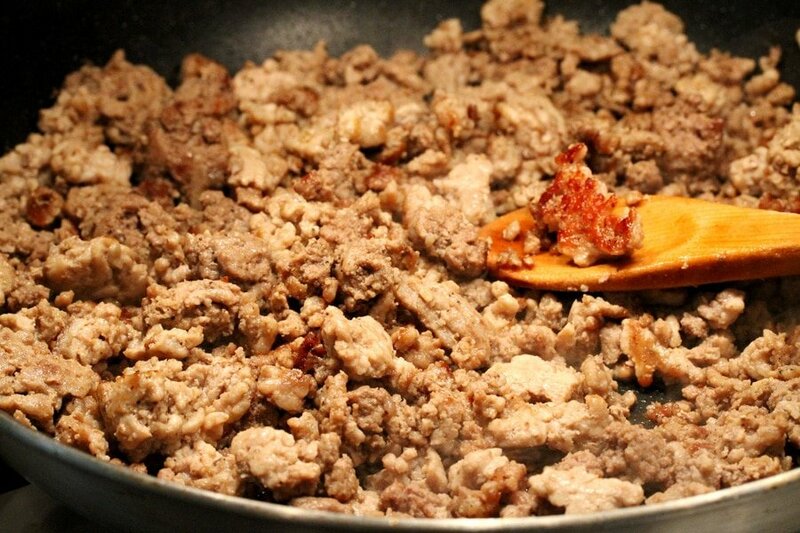 Cooking the Meat - To a large skillet, add the ground meat and pepper. Heat the skillet on medium heat and stir. 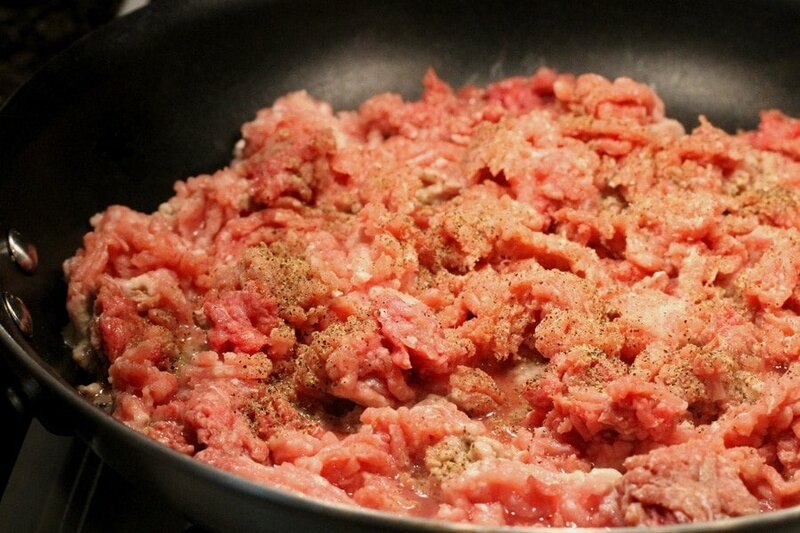 Using a spatula or end of a wooden spoon break up the ground meat so that the meat is all about the same size. Continue cooking until the meat starts to brown. 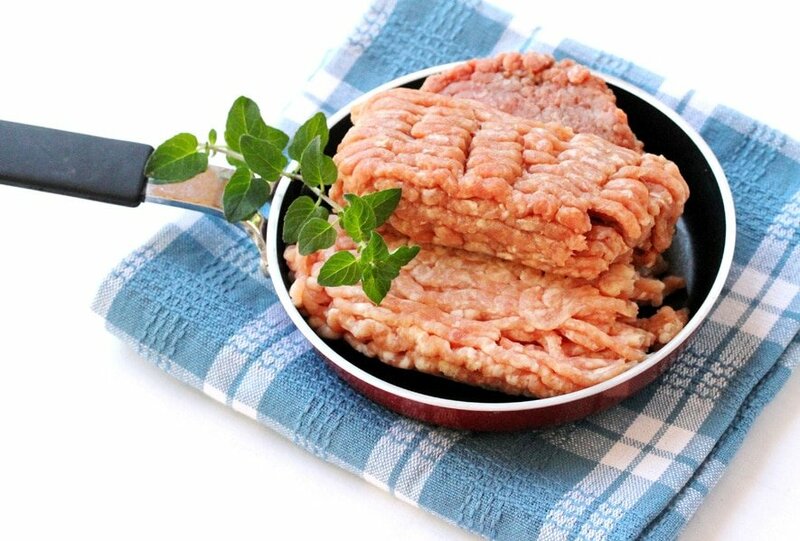 Transfer the ground meat onto a paper towel-lined plate to absorb any excess grease. To the pan, add the meat and stir. Add the bay leaves to the pan and stir. 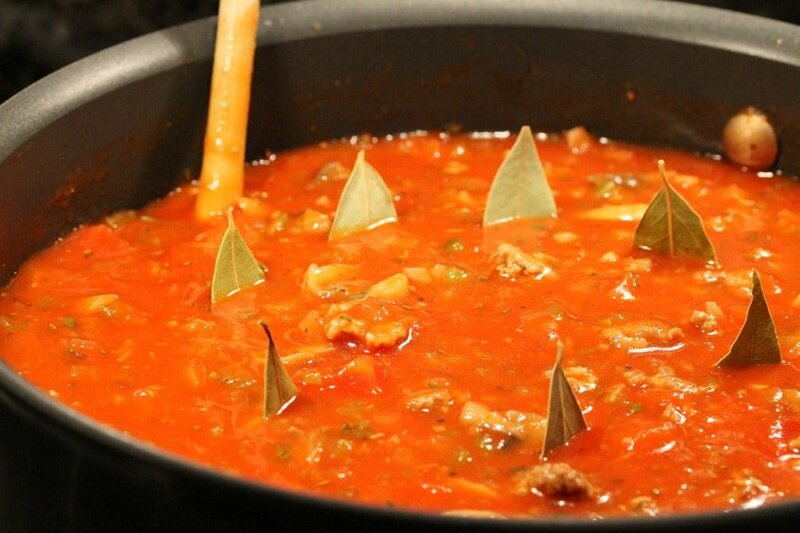 Let simmer for at least 3 hours. Continue to stir every 20 minutes. 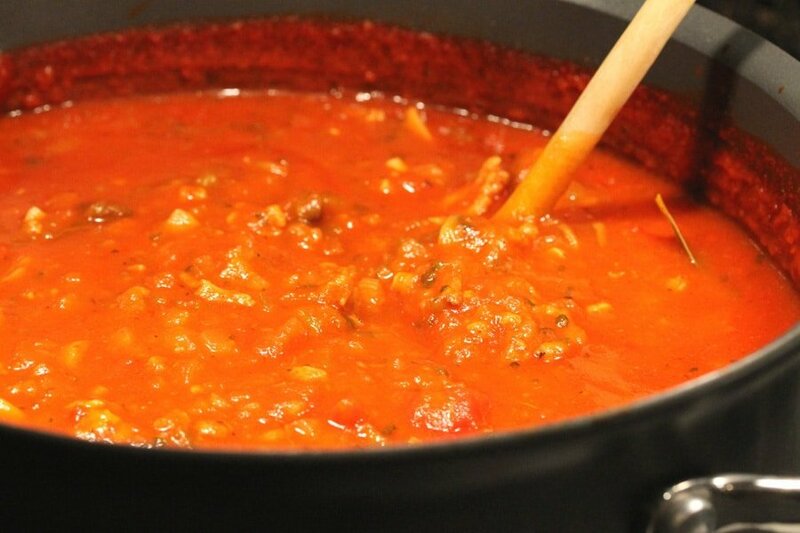 After simmering for 3 hours, the sauce should reduce, thicken, and the ingredients should blend together nicely. Serve warm over any type of pasta. Yummy, a classic! I find that when using dried herbs, it’s nice to turn the heat down a tad at the “sauteing chopped things” stage, add the dried herbs, and allow them to get fragrant. It gives a more robust taste! Rachel, that’s a really good idea and makes sense to add the dried herbs when cooking the chopped items….I’m going to do that next time I make this sauce. Thank you!